Oliver Jeffers’ classic story of a boy and a penguin finding friendship at the South Pole becomes a unique drawing and colouring book where you make the story your own! 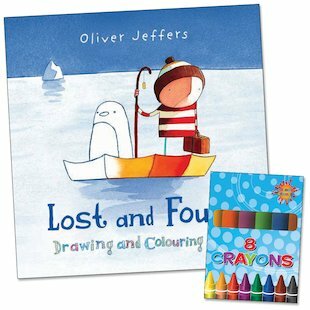 Help the boy and the penguin to enjoy their amazing journey by drawing and colouring all the things they see. Icebergs, stormy waves, welcome signs and sailing boats! This wonderfully creative drawing book reunites children with two favourite story characters, while letting them add their very own imaginative touches.